Food! Glorious Food! 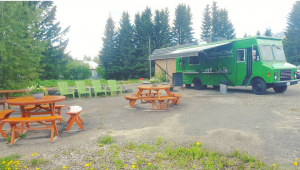 When it comes to eating out, Fernie Food Trucks have so many great choices that is hard to choose. These choices really compliment all the great restaurants based in Fernie. But I love getting my meals from a Food Truck. 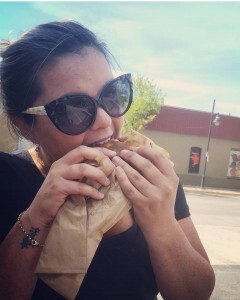 To me, there is something about food from a truck that makes a meal taste even better. Maybe it’s because to me they scream ‘SUMMER’!? They often park up at our summer festivals and summer markets. They are the perfect stop on the summer road trip! This gives you an idea of my love for Food Trucks, so you can imagine my response when my manager suggested I write a blog about the Fernie Food Trucks. UM, YES PLEASE! 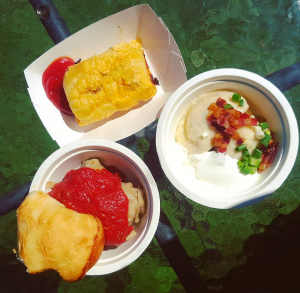 So just for you, the reader of this blog, I have been eating my way through Fernie Food Trucks this summer. It has been a hard job… Just kidding, I loved every meal, but my next blog may need to be about gyms in Fernie. Food Trucks have taken off around the world. They are the perfect opportunity for the person who wants to own their own business and has a passion for food (and well, can cook)! The Fernie community is full of talented, forward thinking entrepreneurs. This is true in the Fernie Food Truck business too! 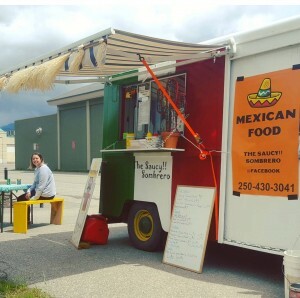 The Fernie Food Trucks offer something for everyone. Feeling like something sweet? No problem, pick up a sweet Nutella crepe from Flippin’ Crepes for something that will hit the spot. Want to reminisce about your vacation to Vietnam and all that tasty street food you ate!? Go see The Chopstick Truck for a tasty Pho. Can’t make the get together with your friends at Yamagoya tonight but reeeeaaally want sushi? You definitely need to visit Yama2Go. Got a hankering for delicious Central American food!? Go see the Saucy!! Sombrero for some tasty tacos. Had a couple of drinks and need to get some food in the belly to cancel out the drinks? Track down Cooks Cabin for some traditional Canadian Poutine! Or, do you miss your Mom’s home cooking? Stop by Good Grubs for some hearty home cooking that may just rival your Mom’s cooking. 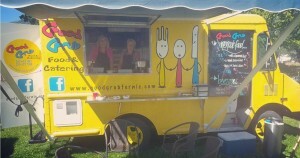 start The Chopstick Truck as she loves Fernie, the locals and the great food we have here in town. The menu is fresh Vietnamese street food made with locally grown produce. You can sit down and enjoy your food as well as the view of the mountain ranges! 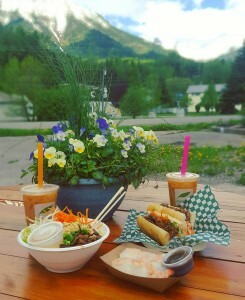 We tried Banh Mi, fresh spring rolls and the Vermicelli noodle bowl with Spring Rolls, all washed down with a delicious bubble tea. The flavours were delicious and fresh. Sydney told us the most popular dish they sell is Vermicelli noodle bowl. Fun fact; it was our favourite dish too! one of of the first food trucks in Fernie many years ago. When that business was no longer in operation, the truck spent many years stuck in a field up near the ski hill. Millie got the truck itself for free but when a truck comes stuck in a field with a tree in it, you kind of have to rebuild the truck from scratch! We ate the popular Saucy Ground Beef Burrito, Redneck Pulled Pork Nachos and a Beef Taco Salad. This is delicious cheap and cheerful food; the Pulled Pork Nachos was the crowd favourite for us. The Saucy!! Sombrero sometimes sets up across the road from Red Tree Lodge along the main highway! This has been dangerous for my nacho addiction! Most Fernie locals know how great Yamagoya is! The line outside the door tells us so. But what is better than sushi from Yamagoya? Sushi from Yama2Go!!! 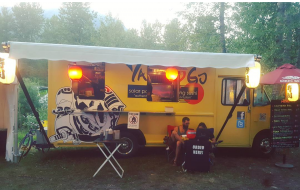 We found Yama2Go at the Wapiti Music Festival and boy-oh-boy did we have a good time at this truck (and the festival!). Cam and the team have been bringing us ‘solar powered roaming sushi and authentically unauthentic Asian cuisine’ for years now. You know you’re in for a good meal when you see the yellow truck parked up. 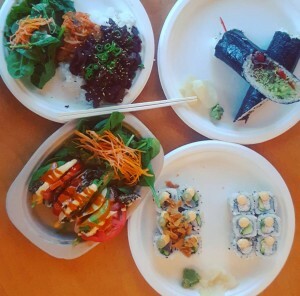 We dug in to the Tuna Tataki roll, Classic California roll, Korean BBQ Beef, Tuna Tacos and a Beef Sushi Burrito. 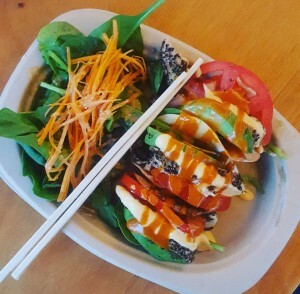 Jody’s dish of the day was the Korean BBQ Beef and the sushi definitely hit the spot for me. The sushi hit the spot several times during Wapiti weekend actually! What does a Friday night, a beer, a fire and a lifetime love for making Crepes equal? For Marie, it is a brilliant idea for a Food Truck. That idea became a reality about six years ago with a custom built truck and the business of ‘Flippin’ Crepes’. Marie and the team have been based in Fernie for the past three years. 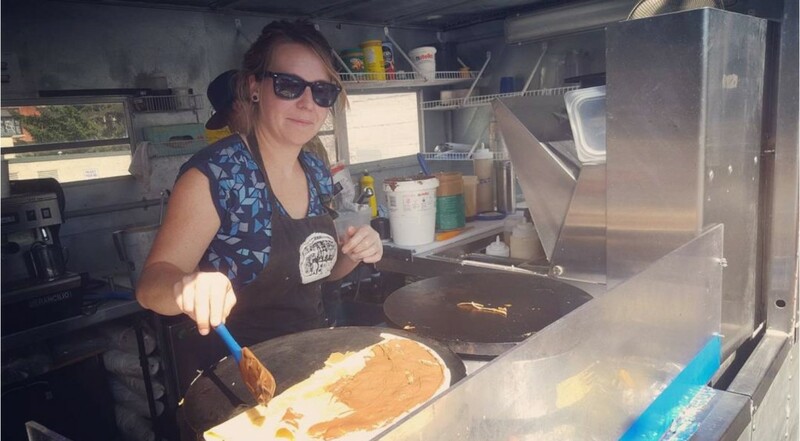 You can find Flippin’ Crepes at the regional Markets, Socials or parked up near Gear Hub. This is the perfect stop for those who want something sweet or something savoury!! Jody and I sat down to enjoy a Nutella with Banana Crepe and a BLT (Bacon, Lettuce & Tomato) Crepe washed down with a Latte and Mango Smoothie. The Crepes were made to order, hot, fresh and DELICIOUS! There is something for everyone on the Flippin’ Crepes menu. 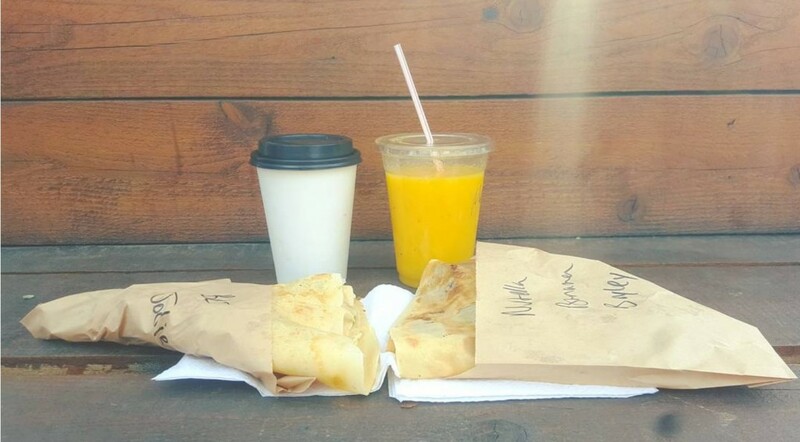 It is a hard decision between the sweet and savoury crepes so best order both….think main and dessert! Food Truck! Jessie and Lesley serve “made from the heart” good grub! We found the Good Grubs truck at the Sunday Mountain Market in Fernie and ordered some Perogies, Cabbage Rolls and a Sausage Roll. Each dish tasted great and definitely had that homemade taste that reminds you home. In fact it inspired a phone call home to Mom! Not only will you spot the above Food Trucks out, there are still MORE out there!! Happy Cow Ice Cream, Cooks Cabin, The Gut Truck and many others from the Kootenay area will appear at regional markets and events! 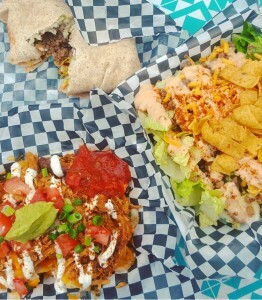 Fernie Food Trucks are the perfect summer accessory! Who doesn’t love fun, quick and tasty food from Fernie locals with a passion for community, culture and food!? And with not much summer left, check out the Tourism Fernie website for the latest events because this is where you find the Food Trucks! Can you eat at them all in your next visit? Pro Tip: Wear stretchy pants!